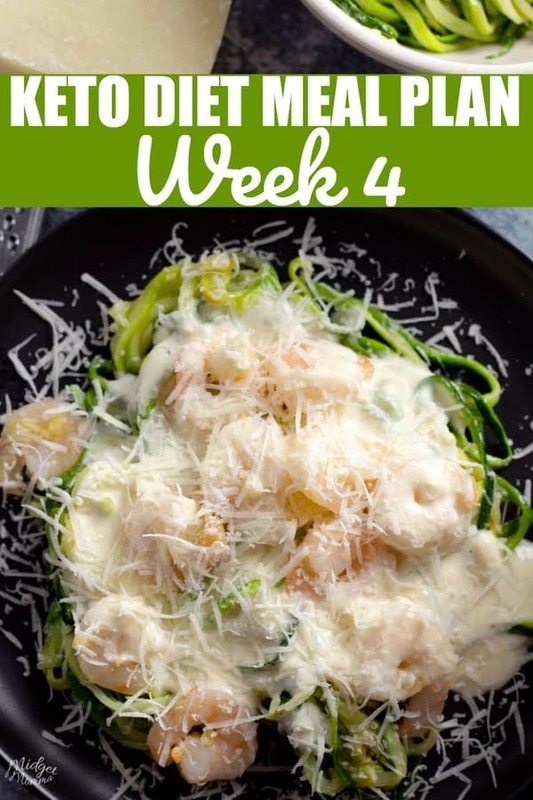 Here is week 4 of our Keto Diet Meal Plan. I do this Keto Diet Meal Plan each week to help you with planning your keto and low carb meals for the week. 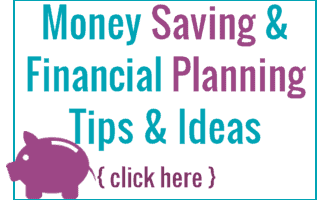 I know at times it can be hard to plan and when it is hard to plan it is hard to stick to a way of eating. This Keto Diet Meal Plan is designed to help you plan your meals and have less stress. This Keto Diet meal plan can be adjusted to what works for you. If there is a recipe that has ingredients you don’t like you can switch it out for a different recipe. You can also adjust your servings and your meals to fit with in your macros for the day. I know that not everyone eats 3 meals a day and a snack, so totally make the meals work for you. If you don’t eat breakfast, just skip that one. Personally I have coffee for breakfast, either Keto Coffee or Bulletproof Coffee most days. I have included breakfast ideas for you as well for those of you who do eat breakfast in the mornings. If you are looking for more Keto Diet Meal Plans you can check out our full set of Keto Diet Meal Plans here. If you know that you are going to have a busy week and will need to have a night that is “out to eat” be sure to check out the Restaurant Meal Guides we have for you. If you are just getting started with the Keto Diet or Low Carb diet then it is important to know the different types of Keto Diet. If you are still trying to figure out what the best way of eating will be for you, then the Difference between Keto and Low Carb will help you. If you are planning on going on vacation this week, check out my tips for sticking with Keto while you are on Vacation. One thing I find that makes my life easier is to prep snacks and have them already in snack containers so it is easy for me to grab and go as needed. We have a great list of Keto Snacks that you can check out if you are looking for more keto snack ideas. You can also use meal prep containers and do the same for lunches if it will make your life easier. I know it makes my life easier to be able to grab and go. Whenever we have salads, I make full of veggie salads with lettuce, green peppers, lunch meat, cheese ect that fits in with what I need for the day. I cut the veggies up and the meats up and let everyone make their own salads. This week I also thought it would be a good idea to include the items that I make for the rest of the house, even though I do not eat them. I know that getting a whole house on board with a full keto or low carb way of eating is sometimes difficult. In our house I make one meal for all of us, however there may be a side dish or 2 at dinner time that I do not eat, but make it for the rest of the house to eat. I thought this might be helpful to any of you who are in the same boat as I am. This way you can plan a meal that fits everyone in your house. Normally I plan all of my snacks, this week I am slacking a bit and have not planned them and I am going to just figure it out as I go. Might be a bit stressful, but I always have keto snacks in the house so I should be ok. Be sure to check out the full list of Keto Snacks for snack ideas. Breakfast: Hardboiled eggs, which i will make hardboiled eggs in oven, with bacon. Lunch: Taco Bowls with my Barbacoa Recipe. Which will be thrown in the crockpot to cook on Sunday. Basically the meat in a bowl topped with sour cream, cheese and lettuce. Dinner: Steak on the grill with Capocollo Wrapped Asparagus the rest of the family will also have microwave sweet potato. Lunch: Egg salad, using the hardboiled eggs and lettuce to make them into wraps. Dinner: One pan chicken and veggies – I will double this recipe and there will be some left overs. Lunch: Taco Bowls using crockpot Barbacoa that I made on sunday. Lunch: Crockpot Buffalo Chicken using lettuce to make wraps. I will make that on Thursday during the day and put it in the fridge so I have it. Dinner: Hamburgers and cheeseburgers. I will have a Lettuce Wrap Burger while the rest of the house has their buns. Dinner: Garlic Cream sauce over Zoodles for me, Pasta with Garlic Cream Sauce for the rest of the house, and salad. Keto on a Budget – How to eat Keto and keep the food budget low! Keto Basics you need to know! I’m following your meal plan. I have tried a few of your recipes first and they were so delicious that I finally decided to get on your meal plan wagon.